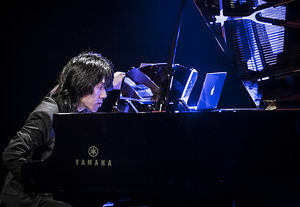 Taka Kigawa has been highly acclaimed for his performances, especially in modern music repertoires for about last decade. The concert venue, (le) Poisson Rouge, located in downtown Manhattan, has invited him to give solo recitals almost every season. As for classical music scene in New York City, Lincoln Center and Carnegie Hall are well known, however, there are many more venues that give notable concerts. And the programs that (le) Poisson Rouge produces are very popular and well received. Perhaps not a few audiences would like to hear him play not only modern music, but also other repertoires.